Jim Callis, formerly of Baseball America, and currently of MLB.com appeared on the David Kaplan Show on Tuesday night (Listen to the whole interview here) and couldn’t say more good things about the Cubs system, specifically their bats. During the interview, Callis said that he can’t remember a minor league system having four high level position players all at once. Callis has been around a long time, and is an expert when it comes to minor league baseball, and Major League baseball prospects, so hearing that should get a lot of people excited. Many Cubs fans have this notion that Javier Baez is the best all around player in the history of ever, while I like that enthusiasm, he is just as bad defensively as Castro. Fans thinking Baez will supplant Castro at short could be mistaken and Callis touched on that as well. He thinks Baez can be an okay short-stop but a great third baseman. The same thought was shared in regards to Bryant he can be an okay third baseman, or a great right fielder. Bottom line, guys are going switch positions and most likely play wherever allows their bat to get in the lineup. When asked which Cubs prospect would be the one that Callis trades for pitching he responded with Jorge Soler. Some scouts feel that Soler has not given 100% effort during his time in the minor leagues. I think I can agree, but I can also see why they could be saying tha. Soler is being paid like a major league ballplayer, and wouldn’t be surprised if he’s becoming disinterested with the Minor League lifestyle, competition, etc. I don’t think that Soler is lazy but I understand what Callis is saying, the effort supposedly isn’t there and could translate to different levels so the Cubs could trade him for arms. Finally, Kaplan asked Callis about when the Cubs will contend, and when will we stop hearing about the Cubs prospects and hear more about winning at the Major League level? Callis agreed that this upcoming season could be pretty ugly, but you never know when you have a young team. The middle to end of 2014 is when we will start seeing some of these prized prospects hit the North Side and by 2016 he feels the Cubs can become legit contenders. He doesn’t rule out 2015 necessarily and he thinks the 2015 team is when the Cubs start becoming an “interesting” ball club, that’s usually a good thing. Spring training can’t get here soon enough. Author bornonthirdcubsPosted on January 29, 2014 January 29, 2014 Categories 2014 Season, ProspectsTags Javier Baez, Jim Callis on Cubs, Jorge Soler, Kris Bryant, When will Cubs Contend2 Comments on 2016, the Cubs arrive? Last night MLB Network aired a special to unveil the MLB.com top 100 prospects for 2014, and the Cubs were all over that list. It was fun listening to the likes of Jim Callis, and Jonathan Mayo gush about how many good, young players the Cubs have waiting in the wings. A total of seven players graced the list, here is a breakdown of each player, and some analysis. Johnson was drafted in the supplemental round of the 2012 MLB Draft, 43rd overall by the Cubs. 2013 was Johnson’s first full professional season, and it was impressive. Johnson pitched over two levels and actually found more success with Daytona which was the higher level. Overall for 2013 Johnson went 11-6 with a 2.74 ERA while starting 21 games and appearing in 23. In 118.1 innings Johnson only allowed 109 hits, 5 home runs (5! ), while walking 43 and striking out 124. I mentioned more success at Daytona, with the D-Cubs, Johnson worked 48.2 innings allowing only one home run with a sparkling 2.22 ERA. Alcantara seemingly came out of nowhere in 2013 but in reality the talent has always been there it was just a matter of everything coming together at once. With a brilliant 2013 season Alcantara cemented his status as the Cubs second baseman of the future, and will probably be seen on the North Side this upcoming season. Alcantara played all of 2013 with the Smokies at the double A level and really showcased his all around game. In just under 500 at bats Alcantara hit .271 with a .352 on base percentage and a .451 slugging percentage which was good for an .804 OPS. Couple those on base numbers with the 31 stolen bases he had and he becomes a legitimate threat at the top of the order. Jason Parks of Baseball Prospectus says that Alcantara reminds him of Jose Reyes-lite, well, that works. 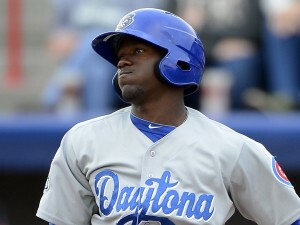 Now we start getting into the meat and potatoes of the Cubs prospects, first up Jorge Soler. I’ve seen Soler play in person a number of times, and he is an impressive specimen. He looks more like a football player than a baseball player, but he makes it work. Injuries derailed his 2013 season as he was only able to get 210 at bats with the Daytona Cubs. Soler produced for the Minor League team of the year as he cracked 8 home runs, and had 35 RBI’s. Those numbers are down a bit, again he is still adjusting to the professional game, and is only 21. Jason Parks chimed in on Soler as well saying that his is slow to adjust, is the most likely of Cubs prospects to “miss” which I think makes sense given his raw ability, still a high ceiling though. Oh, hello CJ Edwards. That’s right, after an amazing 2013 season, Edwards has vaulted past Jorge Soler on this list. Baseball Prospectus also had Edwards ranked as the #3 player in the Cubs organization, ahead of Soler, and Albert Almora. Edwards wasn’t even with the Cubs at this time last year, he was one of four, yes four players acquired from Texas in the Matt Garza deal. The 2013 season saw Edwards give up one home run, one, just one…. take that Pierce Johnson. For 2013 Edwards tossed 116.1 innings combined at the high A level for Texas and Chicago, he only gave up 76 hits. 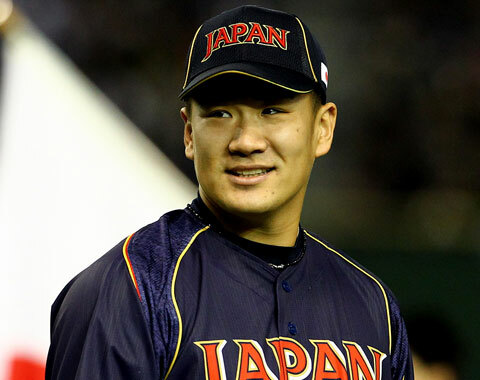 He finished with a 8-2 record and a 1.86 ERA while walking 41 and striking out 155, goodnight! Jason Parks doesn’t see Edwards with a huge ceiling but Jim Callis said that Edwards could be the top of the rotation guy the Cubs need. When it’s all said and done Albert Almora might the favorite player of a lot of fans. While Almora doesn’t have any tools that jump off the page at you (except for his glove I guess) he plays well above them, that’s exactly what Jim Callis said last night. Almora is a baseball player, run through the wall, do whatever it takes to win, baseball player. Because of his 100% all the time playing style he suffered a number of injuries in 2013 which kind of disjointed his season. Almora spent all of 2013 at Kane County but only got 249 at bats due to said injuries, but he made the most of them. He hit .329 with 17 doubles, four triples, three homers, and 23 RBI’s. His slash numbers were even more impressive, he had a .379 on base percentage, and a .466 slugging percentage which was good for an .842 OPS. I think Almora will become more patient at the plate as he gets older but right now he’s fine, he walked 17 times last year and only struck out 30 times, expect to see Almora on the North Side in 2016. Kris Bryant seems to be on the fast track, one reason is that he is far more advanced than the other Cubs prospects on this list, the other is he mashes the baseball. Bryant made it to three different levels in just 36 games, that’s ridiculous, he also hit at every level. Then he went on to the Arizona Fall League and destroyed the ball in earning accolades such as the MVP award. Bryant had 128 at bats in 2013 not counting the Arizona Fall League and his a combined .336 with 9 home runs, and 32 RBI’s, extrapolate that, good Lord. Walking is something that Bryant hasn’t done a lot of right now, but it’s hard to argue with the .390 on base percentage, .719 slugging percentage and 1.106 OPS. The numbers are eye-popping, and the Cubs aren’t shy about moving Bryant wherever he deserves to go, and many believe that could be as early as 2015. Given Bryant’s defensive ability and bat it’s not out of the question that he moves to right field to keep 3B open for Baez, either way the Cubs will find a spot for that bat. 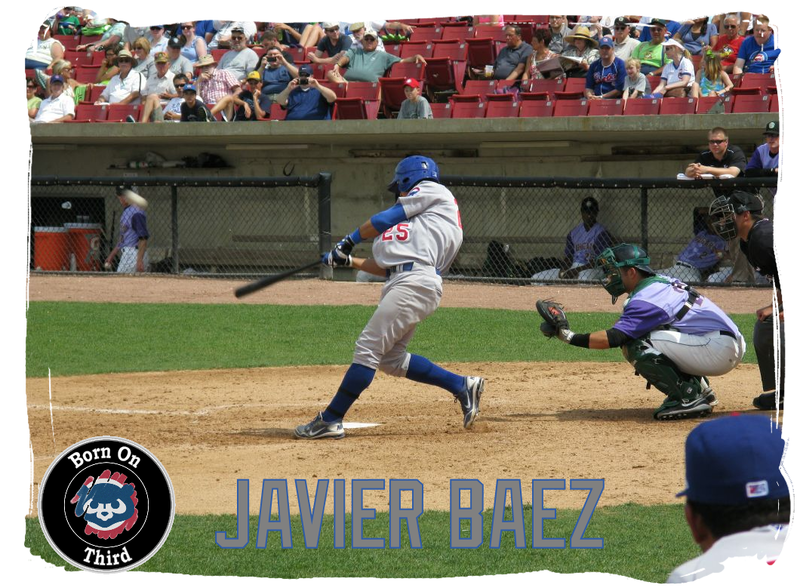 If you’re not excited about Javier Baez, first off, where have you been, secondly, it’s about time you are. Baez destroy minor league baseball last year at both high A and double A. There wasn’t a more feared hitter in baseball, in 517 at bats Baez crushed 37 home runs, and had 111 RBI’s with a total of 75 extra-base hits. He has been burdened with high expectations and all he has done is create new ones which are even higher. Surveying the top prospect lists for 2014 the number seven ranking is going to be the “worst” for Baez. Jason Parks slots him at number four but said there really isn’t a good reason why he shouldn’t be number one, that’s in all of baseball. Many people are expecting Baez to make his Cubs debut this upcoming season, the plan right now is for him to start in triple A as Iowa’s shortstop. Moving forward, given Baez’s defensive issues he might move to 3B but again, that really has a lot to do with how other players develop as well. Prospects are just that, a young player that has expectation or is projected to have some sort of impact at the Major League level. There really is no such thing as a sure thing in this game, and that goes for Cubs prospects as well. As good as these players are there is no guarantee that any or all of them will make it to the Cubs, and be an impact player like they are projected. That said, Cubs fans have had little to get excited about recently and this is definitely a list that you can not only get excited about but truly believe that there is some hope in the near future. The Cubs minor league system had a tremendous year in 2013, it was so good that Jason Parks (@ProfessorParks) of Baseball Prospectus has vaulted them to the second best system in all of baseball. Parks continued the Cubs prospect love fest on Twitter saying that Javier Baez could easily land the #1 overall prospect spot, those are big words. Tonight there should be even more light shined on the Cubs system as MLB Network is airing their top 100 prospects announcement at 9:00 PM CST. Not only that, but some of the prospects that are on the list will be live tweeting during the broadcast, including Cubs prospects Albert Almora (@Albertalmora), and Kris Bryant (@KrisBryant_23). As these list’s come out I will be back with a full rundown of who said what, and where the Cubs prospects rank in baseball. Make sure you tune in tonight and follow Albert and Kris on Twitter tonight, and don’t be surprised if you don’t hear Javier Baez’s name until the top 5. Here’s a link to the mlb.com story about tonight’s broadcast. 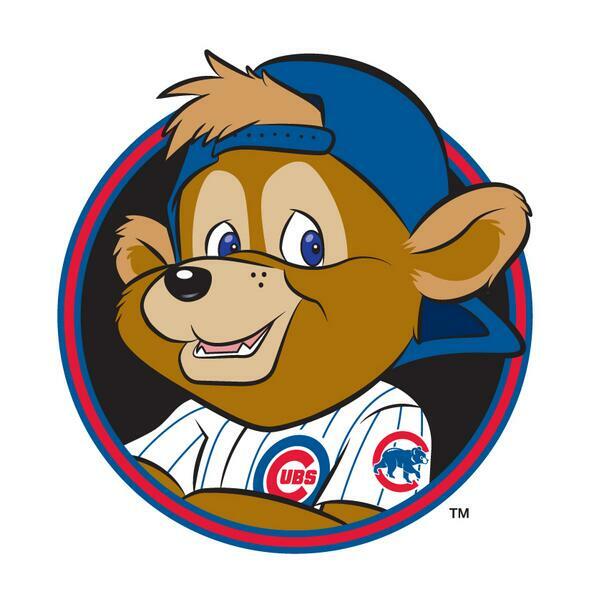 The Cubs have a new animated mascot, that’s all I got. 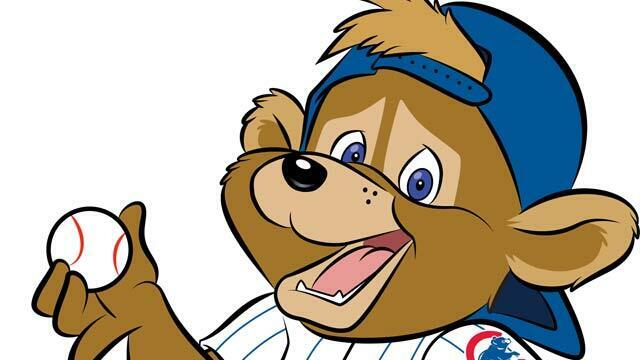 The mascot’s name is Clark, and he is the first ever “Official” Cubs mascot… I’m sure kids will love him, and plenty of people will make fun of him and use his images in inappropriate ways. Be on the lookout as the medical break is just about over, time to get back to writing about baseball, be on the lookout. Setting a tentative date of 1/20/2014, looking forward to it! Author bornonthirdcubsPosted on January 13, 2014 Categories Misc.Leave a comment on Regular posting returns soon!